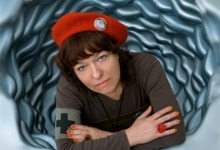 Born in Luxembourg, she works as an artist, filmmaker and producer in Luxembourg and Vienna. She studied sculpture at Vienna's Academy of Fine Arts and experimental film at the University of Applied Arts. Her work crosses the borders between the various artistic disciplines and is presented in movie theaters, at film festivals, in museums, galleries, public spaces and on the world wide web. She is the founder of the film production company AMOUR FOU Luxembourg (*1995) and a founding member of AMOUR FOU Vienna (*2001). Her films have been invited to more than 500 film festivals, including the festivals of Cannes, Berlin and Sundance. They have received numerous awards and special mentions. They have been presented in more than 45 retrospectives on 4 continents. A book about her film 'In the beginning was the Eye' has been published. Her artist work has been presented at Biennale di Venezia, the Moscouw Biennale, Centre Pompidou in Paris and at Lincoln Center New York. 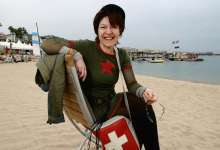 She was a member of many juries, including the Orizzonti jury at Venice Film Festival.